All Saints Episcopal Parish arose from the consolidation of three Episcopal churches in Hoboken in the early 1980s: St. Paul’s (located at 820 Hudson Street), founded in 1832; Trinity (our current worship site at 701 Washington Street), founded in 1853 as the oldest continuous congregation in Hoboken; and Church of the Holy Innocents (located at Sixth and Willow Streets), founded in 1874 by the Stevens family in memory of their daughter Julia who died of typhoid at the age of seven. 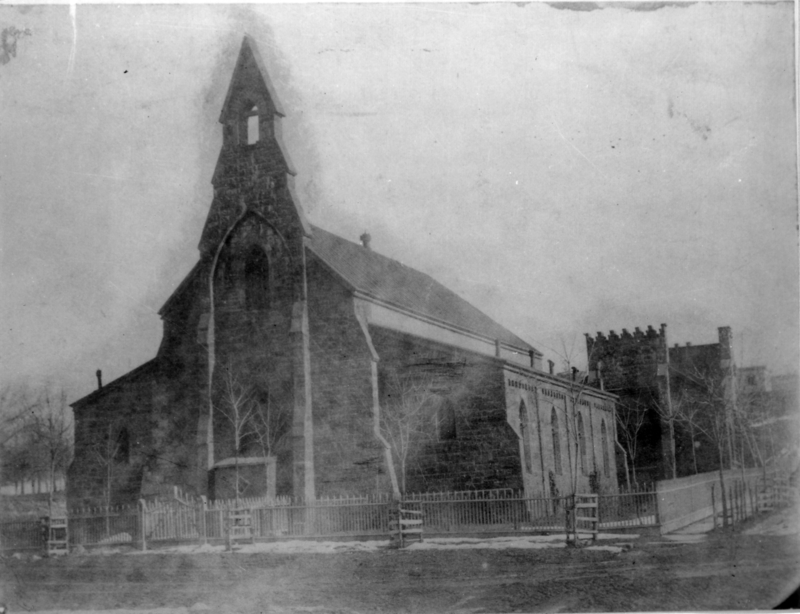 It was intended as a church for Italian and German immigrant families and was unusual because it charged no “pew rental” in order to attend. In 1980, the Rev. Geoffrey Curtiss was sent to Hoboken by the Rt. Rev. John Shelby Spong and the Department of Missions be minister to the Episcopal Church in Hoboken. In 1982, the Hoboken Clergy Coalition established the Hoboken Shelter for the Homeless. This newly organized coalition and All Saints Parish were instrumental in securing the shelter’s right to exist. 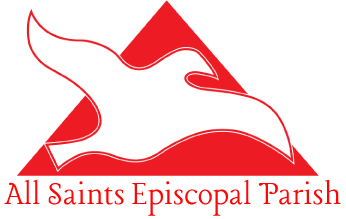 In 1983, All Saints Episcopal Parish was formed through the consolidation of three congregations: Church of the Holy Innocents, St. Paul’s and Trinity Episcopal Church. In 1985, All Saints Episcopal Day School opened its doors to the first class of three and four-year-old children. Today, we serve 279 children ages three through the eighth grade. All Saints Episcopal Day School was accredited by the National Association of Independent Schools in 2007, and is one of the leading private schools in Hoboken. In 1989, All Saints hosted The OASIS, a new mission established by the Diocese of Newark ministering to gay, lesbian, transsexual and transgendered persons. In 1996, All Saints formed a Community Development Corporation which provided us with the vehicle to purchase land at 6th and Jackson Streets on which now sits the Jubilee Center. In 1998, At the 128th Annual Convention of the Diocese of Newark in 2002, All Saints received a “Certificate of Recognition of Jubilee Ministry” celebrating our work in urban ministry. In June 2001 the Rt. Rev. John Palmer Croneberger led the groundbreaking ceremony for the new Jubilee Center. In September 2001, All Saints led Hoboken’s response to the tragic events of 9/11. Laurie Wurm, our parish missioner, and Sandy O’Connor organized a 9/11 Support Group which met regularly for the next five years to share their stories and support one another. In thanksgiving for the work of Laurie Wurm and for All Saints’ hosting of their group, these individuals donated the bell that now sits in our tower at Trinity Church. On April 4th, 2003, The Jubilee Center opened its doors to the children of West Hoboken. On November 11th 2005, All Saints received the first annual Community Awareness Award from Hoboken’s Quality of Life Coalition. 2009 marked the thirtieth year of the ministry of the Rev. Geoffrey Curtiss in the city of Hoboken. The hymn, Too Often, God, Your Name is Used, was commissioned in honor of Geoff’s first 25 years. In 2010, All Saints opened St. Nicholas Center at the corner of 6th and Clinton Streets to house the Nursery and Pre-K students of our the All Saints Episcopal Day School. In January, 2010, U.S. Senator Robert Menendez visited the Jubilee Center in part to celebrate the federal grant of $250,000. On November 11th, 2013, the Rev. Daniel D. Lennox celebrated his first liturgy as the rector-elect of All Saints Episcopal Parish. On May 22nd, 2014, Rev. Lennox was installed as rector by the Rt. Rev. Mark M. Beckwith, Bishop of the Episcopal Diocese of Newark. Following the departure of Rev. Lennox, the Rev. Greg Morgan served as interim rector for just over two years until the arrival of the Rev. Elaine Ellis Thomas, called to serve as third rector of the parish. Rev. Thomas arrived in Hoboken from Charlottesville, Virginia and was installed as rector on May 12, 2018. All Saints has been blessed with the opportunity to raise up a number of clergy: The Rev. Stephanie Wethered, the Rev. Margaret Hodgkins, the Rev. Lucy Ann Dure, the Rev. Phil Dougharty and the Rev. Laurie Wurm. We have also served as a training site for deacons and seminarians, including, most recently, Mr. Richard Hogue, Mrs. Jill Singleton and Mr. Ross Sweetland.